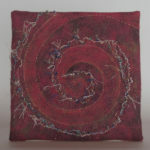 I have worked with a variety of mediums, including clay (wheel thrown and hand building), water colors, paper and fibers, but I prefer the tactile quality of the felting process while working with fiber. 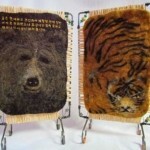 I began exploring fiber art as a weaver in 1996. At the Maryland Sheep and Wool Festival, four years later, I purchased a needlefelting kit and became instantly addicted to the process of felting. I expanded to wet felting, and like to combine the techniques. 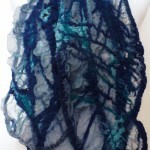 A variety of dyeing techniques, including shibori, have allowed me to expand my range. 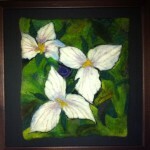 I unite silk, quilting, thread painting and other techniques in my felt art. Studies with internationally known felters, such as Jorie Johnson, Pat Spark, Polly Stirling and others have provided me the opportunity to learn different ways of working with the fibers. My inspiration for many of my pieces are pulled from my observations in nature. 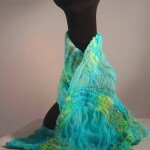 These observations are repeated in my work where I combine techniques creating two dimensional and three dimensional fiber art. I have spent years observing and photographing a variety of ecosystems and natural environments on trips to remote wilderness areas in the United States and Canada. Water is incorporated in much of my work as I have spent a lot of time in, on, under or near water and outside. My work has been displayed in exhibitions with the Northeast Feltmakers Guild, Textile Study Group of New York, the Horsham Regional Fine Art Show as well as the Philadelphia Guild of Handweavers. 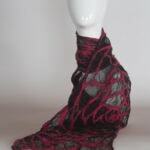 I have taught private workshops in feltmaking, fiber dying and shibori dying with adults and at a local elementary school’s “After School Fun” program. 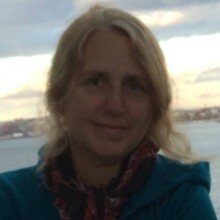 Co-President of the Northeast Feltmakers Guild, 2010-2014.